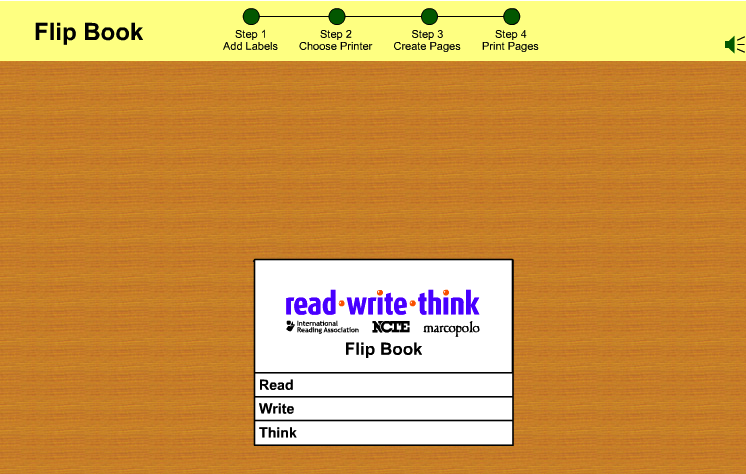 Flip Book is an excellent tool from ReadWriteThink that allows students to create beautiful flip books and booklets. The tool provides a number of pre-made layouts of the pages making up the book. Students will only pick out the template they want to work on, type in their text and then print out their pages, as simple as that. 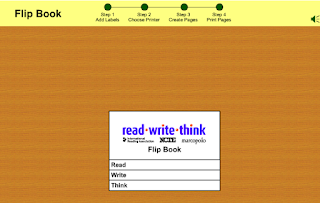 Creating a flip book using Flip Book is simple and easy. Students start by adding page labels. They can create up to ten pages. Next they select the type of printer they want to use whether a color ink or black ink printer.Then they choose templates for their pages and type in text or draw in them using different colors. They can customize the look of their pages the way they like. For instance, they can add a different colour to the page background, use various text fonts and types, and once the flip book is ready they click on ‘Print’ and voila.